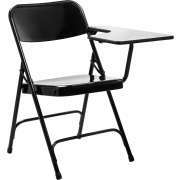 Tablet arm chairs aren’t just for the classroom anymore. 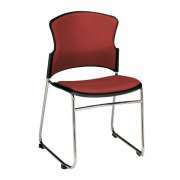 They can be very convenient for lecture halls, training rooms, private offices, reception areas and more. With a built in work surface, it’s easier to take notes or work on a tablet. Should you get chairs with a built-in tablet arm? If you have the option, this is always a convenient choice. 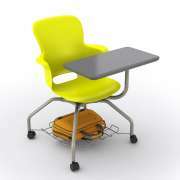 Many people think of school chairs with a built-in desk surface when they think of a chair with a tablet arm. 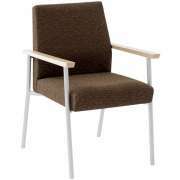 Hertz Furniture offers both classic designs and more modern options that are appropriate for professional environments as well. 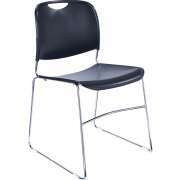 All of our models come with great warranties. 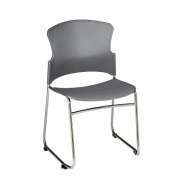 Should my classroom have tablet arm chairs? 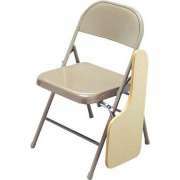 There are a number of reasons why tablet arm chairs have become so popular. 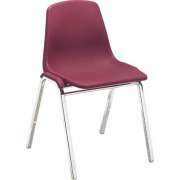 It is frustrating for a teacher to have to make sure there are enough chairs for each desk every time they come into the classroom, but with tablet arm desks, you always have the perfect amount of seats. They also have a neat appearance and are fairly easy to arrange. Another benefit is that they don’t move when students stand up or sit down so it makes less noise if someone comes in late or has to leave the class early. 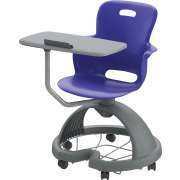 What choices do you have for tablet arm desks? 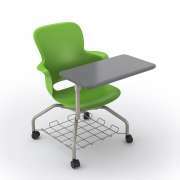 Tablet arm chair desks come in many different materials and sizes. Hard plastic is a classic work surface material. WoodStone offers the same durability as hard plastic but costs and weighs less. 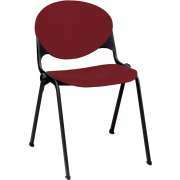 They are also available with various chair styles so you can choose what is most suitable for your students. With a selection of colors, they can be used to bring some great hues into your space or coordinated with other classroom furniture. 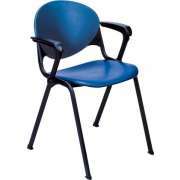 We offer tablet arm chairs in a range of sizes so you can get an appropriate fit, which is extremely important if you want students to stay focused on the lesson and maintain a healthy posture. 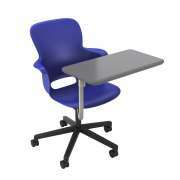 What kind of chairs have a built-in writing surface? 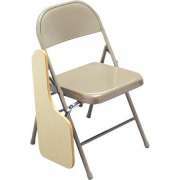 Folding tablet arm chairs offer seating with a writing surface anywhere you need it. They are an ideal choice for temporary classrooms or learning spaces because they can be set up quickly and are easy to store. This is an excellent solution for testing situations when you need to set up extra rooms with places where students can sit and write, training sessions in a multipurpose room or even conferences. 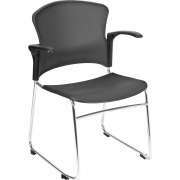 Can I get a club chair with a tablet arm? 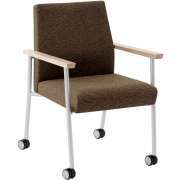 Tablet arm chairs aren’t only for students or trainees, they can also benefit seasoned professionals. With the use of handheld devices only increasing, having a small work surface right on a reception chair can be very helpful. Your clients, patients and colleagues are sure to appreciate this convenience in a waiting room. 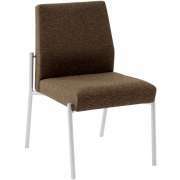 Tablet arm chairs can also fit well in an executive suite which includes a small meeting area. Rather than having a clunk, old-fashioned conference table, professionals can sit more comfortably and take handwritten notes or use devices. 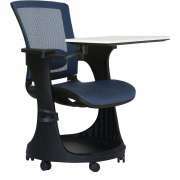 Office chairs with a tablet allow you to work in any position. You don’t always need a full-size desk, but a compact work surface will definitely come in handy no matter where or how you want to sit.